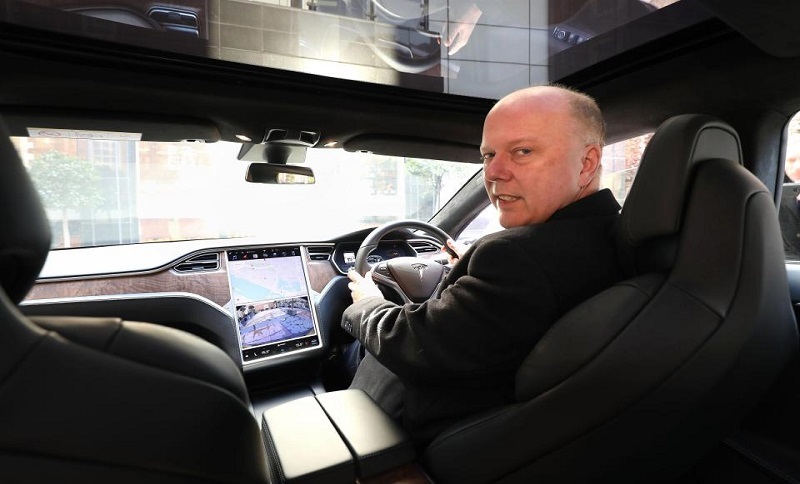 During his speech to the Association of British Insurers this week, UK’s Transport secretary, Chris Grayling expressed his enthusiasm for having completely driverless cars in Britain in less than four years. He expressed that “we’ve seen nothing in our lifetimes that can compare with the motoring revolution that’s just around the corner. A revolution that will transform the way we travel, the way we buy, run and power our cars, and the way we insure them”. He also pointed out the advantages of the new selfdriving technologies and how they will certainly benefit people in Britain. Specially in term of safety since “self-driving cars should make road travel far safer by eliminating the biggest contributory factor in accidents today – human error.” as he stated. Mr Grayling took the opportunity to express UK’s ambition to be a world leader in autonomous vehicle technology and described some of the challenges for insurance companies. He made emphasis in the needs of adapting the law in the UK to ensure there will be no confusion over responsibility and said that the UK government is already creating a new compulsory insurance framework that covers the use of automated vehicles. But this is not new, insurance companies in the UK are already foreseen the introduction of selfdriving vehicles in British routes and recently Thatcham Research Center, established by the motor insurance industry, drawn 10-point checklist of features that manufacturers of automated cars should adhere to, including clearly signalling their automated capabilities and mechanisms to ensure the handover of control from human to machine and back is explicit. Matthew Avery, director of research at Thatcham, said the new checklist would help “shine a light into the potentially dangerous grey area semi-automated vehicles could create” and has also urged the UK government to speed up the reforms going through Parliament under the Automated and Electric Vehicles bill. Certainly, the UK is already paving the way to make no driver needed by 2021 but as Mr Grayling expressed it will be needed to be well prepared.